Identity theft takes place when someone improperly uses your personal information such as social security number, credit card or bank account number. 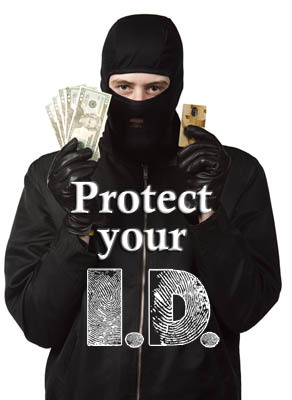 Identity theft is a crime that can happen to anyone - thieves do not discriminate. It can happen at any time, and go unnoticed for months before a person even realizes that they have become a victim of a crime. What we are doing to protect your identity? We may request a photo ID before performing any transaction. We recommend that members place a password on their NAFCU account. We verify your identity before giving out any financial information or performing any transactions over the phone. We require a signature from the account holder before an address change can be made. Our Home and Mobile Banking systems offer multiple security features to protect your account. What can scam artists do with your personal information? Open a bank account in your name and write bad checks with no intention of paying it back. Change your mailing address in hopes of delaying you from noticing charges made to your accounts without your approval. Get cellular services with your information, for their personal use. Call and apply for credit cards using your personal information to get approved. 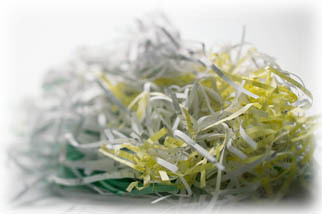 Shred anything containing personal information that you do not need to keep. Do not leave your mail in the mail box overnight. When leaving town, contact the Postal Service and have then hold your mail until your arrive home. Put passwords on all of your bank accounts, credit cards, phone accounts, and store your passwords in a safe place. Do not carry more identification on your person than necessary. Make copies of everything in your wallet or purse. That way, if they are stolen or lost, you know what you need to replace and what accounts you need to freeze. Check your credit report for accuracy. Make sure that nothing is added to your report that shouldn't be there. Find out how to get a truly FREE credit report below. Pay attention to your billing cycles, and follow up with the company if a bill hasn't arrived on time. Before revealing your information to anyone, ask them what this information is being used for. Also, ask for your information to be kept confidential. Do not give out any of your personal information on the telephone unless you initiated the call. For more information, see our Protect Myself from Fraud page! Install anti-virus software on your phone and make sure that you keep it updated. Use a pattern lock or PIN code on your phone. Do not store passwords on your phone. Enable remote "wiping" of data. Do not access financial accounts from a free public network. When getting a new app, be sure to read all of the permissions before downloading. You can order a free credit report from each of the three major credit bureaus annually by visiting annualcreditreport.com. We recommend that you order one report every four months, using a different bureau each time. If you wish to obtain your credit score, that is also available on the site for a nominal fee. You are not required to purchase your score in order to get your free credit reports. Please note, if you order your report directly from the credit bureaus, rather than through the site listed above, you will normally be charged a fee. Likewise, be careful with other websites. They typically require you to sign up for paid services in order to get a "free" credit report. annualcreditreport.com will not charge you a fee to get your annual report. Mailing Address: Annual Credit Report Request Service, P.O. Box 105281, Atlanta, GA 30348-5281. Immediately contact your financial institution and your creditors to protect your accounts. If an account has already been hit with fraudulent charges, close it. Report all identity theft to the local authorities. Ask the police to file a report and give you a copy; you will need this to help you clear your credit report. Report stolen mail to your local post office.